Welcome back, listeners! We’re so happy that you’re joining us for this episode of Reading with Your Kids Podcast! 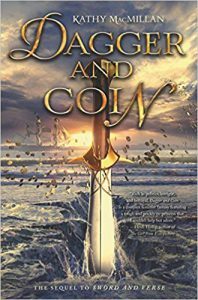 Today we’re excited to have Kathy MacMillan, here to share everything about her YA Fantasy Novel Dagger and Coin. The sequel to Sword and Verse, this fantasy novel follows a familiar face—Soraya—as she attempts to rebuild a nation after the downfall of the monarchy It sounds like a great read that tackles political intrigue, relationship drama, and thoughtful characterization. 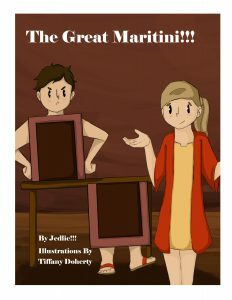 We loved everything about Kathy’s beautifully written novel for the young adults, and we’re sure you will LOVE it too! Kathy MacMillan is a writer, American Sign Language interpreter, librarian, signing storyteller, and avowed Hufflepuff. Her debut young adult novel, Sword and Verse (2016) was a finalist for the Compton Crook Award, and its companion novel, Dagger and Coin(2018) has been called a “complex feminist fantasy” by author Heidi Heilig. Kathy serves as the co-Regional Advisor for the Maryland/Delaware/West Virginia Region of the Society for Children’s Book Writers and Illustrators. She is also the author of the Little Hands Signing board book series from Familius Press, as well as eight resource books for educators, librarians, and parents, including Little Hands and Big Hands: Children and Adults Signing Together (Huron Street Press, 2013). She lives near Baltimore, MD. What Dagger and Coin, is all about? Where did Kathy get the idea to write this story? More about her main character. What makes her unique? How does a strong female character taking the lead in a fast-paced plot in her book will appeal to fans of fantasy? What inspires Kathy’s book/writing ideas? Some of the topics young adults can discuss with their parents after reading Dagger and Coin. What can Kathy’s fans look forward to next, other projects and much more…. A big thank you to Kathy for joining us and for sharing her story! You’re going to just love hearing about Kathy’s fascinating thoughts about YA literature & you’re going to love this episode. Be sure to listen in! PreviouslyMEET Kamyla Chung and the Classroom Bully!! !